Respect the right, dignity and worth of every human being. Be fair, considerate and honest with participants. Display control, respect, dignity, professionalism and courtesy to all involved in Cycling. Promote an environment that is free of any discriminatory practices. Within the context of the activity, treat everyone equally regardless of gender, race, sexuality, religion, political belief or activity, age, marital or relationship status, pregnancy, impairment or disability. Treat all participants as individuals who are deserving of equal attention and opportunities. Ensure the participant’s time with us is a positive rewarding experience. Help each participant reach their full potential. Commit to providing a quality service to our participants. To provide knowledge and skills and promote safe, enjoyable mountain biking that breeds courtesy, environmental empathy and community engagement. 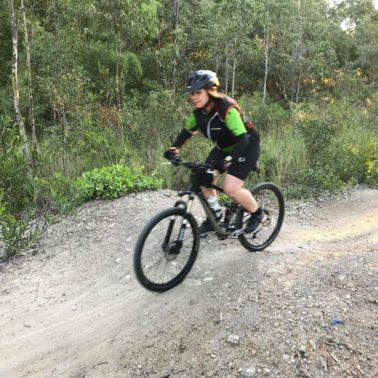 To see riders quickly progressing to being better riders and active members in the mountain biking community. Our cycling passion started on road bikes in the early 80's and we raced on and off for over 20 years. We discovered how much fun mountain biking was around the late 1990's and a new passion was born. 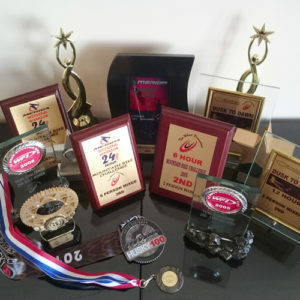 We've been mountain bike social riding and endurance racing since around 2001. 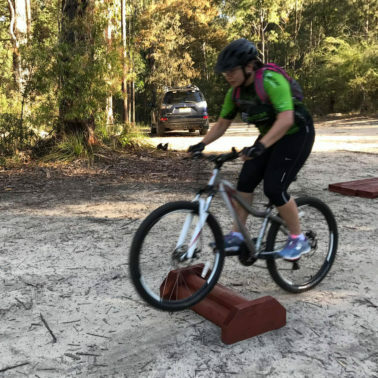 Recently our passion has focused on mountain bike skills coaching and just riding for fun. Great atmosphere! Leanne , you have been great in building my confidence . 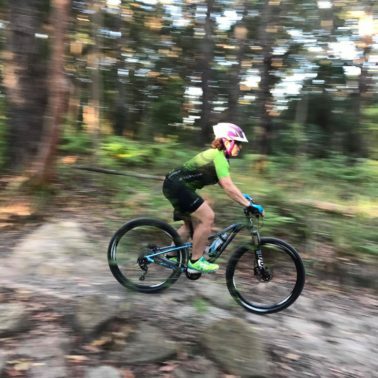 I was a bit nervous to start Leanne's mountain bike lessons but quickly felt at ease and more confident as her lessons are thorough, well paced and fun and progressively build on skills. She is so approachable and positive. Thanks Leanne would recommend your lessons whole heartedly.